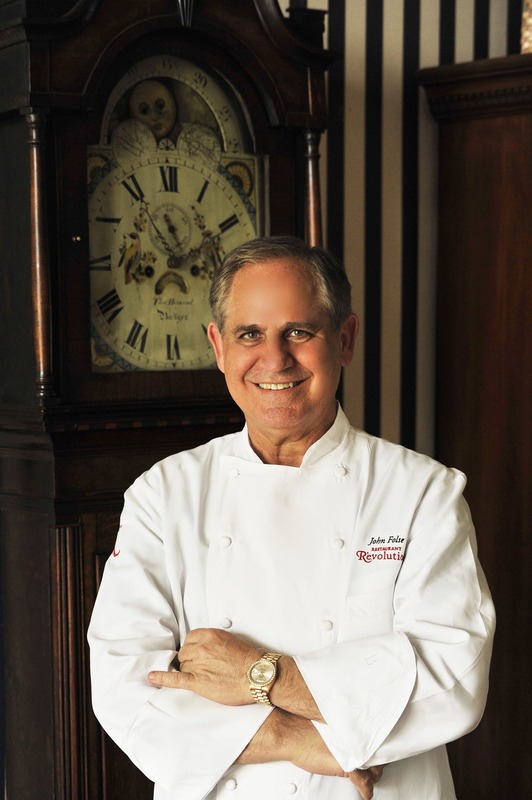 The Chef John Folse Culinary Institute at Nicholls State University in Thibodaux, Louisiana, opened in October 1994 and is dedicated to the preservation of Louisiana’s rich culinary and cultural heritage. In March 2013 ground breaking ceremonies were held at NSU on the site of the new culinary arts building, which is projected to open in September 2014. In August 1996, Folse began broadcasting his radio cooking talk show, “Stirrin’ It Up.” In 2001, “Stirrin’ It Up” expanded to a television cooking segment during the 5 p.m. newscast on WAFB-TV Channel 9 in Baton Rouge. Exceptional Endings, the pastry division of Chef John Folse & Company, was launched in 1996 to create specialty desserts, pastries and savories. In October 1998, a fire destroyed the 200-year-old Viala Plantation, which housed Lafitte’s Landing Restaurant, and in May 1999 Folse opened his former Donaldsonville home as Lafitte’s Landing Restaurant at Bittersweet Plantation, offering fine dining and bed and breakfast accommodations. In the year 2000, Folse incorporated Digi-Tek Productions, a full service digital recording studio. In 2010, Folse announced his business partnership with Chef Rick Tramonto and the formation of the new restaurant development company Home on the Range: Folse Tramonto Restaurant Development, LLC. 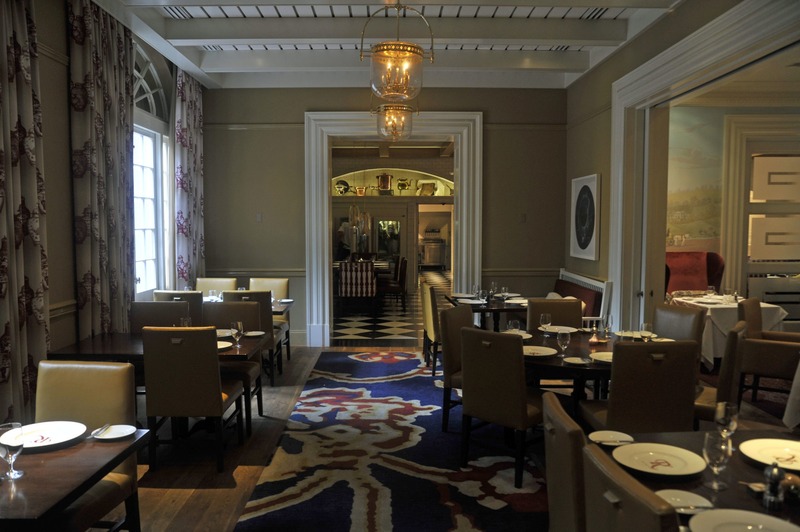 The partners will launched their first joint restaurant, Restaurant R’evolution, at the Royal Sonesta Hotel New Orleans in the city’s renowned French Quarter in June 2012. Restaurant R’evolution will offers modern, imaginative reinterpretations of classic Cajun and Creole cuisine. In autumn 2014 Fold and Tramonto will open their second joint venture, Seafood R’evolution, in Ridgeland, MS, a bedroom community of the metro Jackson area. Folse has received numerous national and international accolades over the course of his 30-plus year career. In 1990, the American Culinary Federation named Folse the “National Chef of the Year,” and in 1999, the Research Chefs Association (RCA) named Chef John Folse & Company “Pioneers in Culinology” due to the efforts of Folse’s culinary research team. He is the only chef ever to serve as chairman or president of the American Culinary Federation (1994), DiRoNA (2000-2001), and the Research Chefs Association (2005-2007). In 2006, Folse was inducted into the National Restaurant Association Educational Foundation’s College of Diplomates. In October 2008, Folse was awarded the Louisiana Governor’s Cultural Economic Development Arts Award. He holds honorary Doctorates of Culinary Arts from Johnson & Wales University in Providence, RI, and Baltimore International Culinary College. Thirty years of culinary excellence later, Folse is still adding ingredients to the corporate gumbo he calls Chef John Folse & Company, which is as diverse as the Louisiana landscape, and he would not want it any other way. 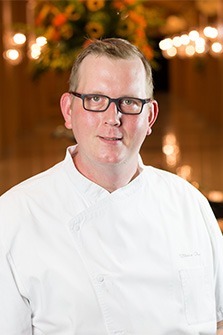 For eleven years, Restaurant R’evolution Executive Chef Rick Tramonto was executive chef and founding partner at Chicago’s world-renowned four-star fine-dining restaurant Tru, in partnership with restaurateur Rich Melman, chairman of Lettuce Entertain You Enterprises, and Pastry Chef Gale Gand. Tramonto is also culinary director of Tramonto Cuisine, Inc., which developed Tramonto’s Steak & Seafood and Osteria di Tramonto. A Rochester, NY, native, Tramonto grew up in a traditional blue-collar Italian family. In 1977, due to a family crisis and his struggles in school, Tramonto dropped out of high school and entered the workforce to help support his family. His first full-time job was with Wendy’s Old Fashioned Hamburgers. After two years he left to become grill/sauté cook at the Scotch ‘N Sirloin, followed by a stint at the Strathallen Hotel, where he had his first experience with classical French technique, under the tutelage of Chef Greg Broman. Young and ambitious, Tramonto moved to New York in the early 1980s, working at the legendary Tavern on the Green. From there, he joined Chef Alfred Portale as a line cook at Gotham Bar & Grill and was part of the brigade awarded three stars by the New York Times. He also worked under Chef Gerard Pangaud at Aurora. In the late 1980s, Tramonto was brought to Chicago by Richard Melman to work at his popular restaurants Avanzare and Scoozi!, as well as several other Lettuce Entertain You establishments. After a stint at Charlie Trotter’s, Tramonto received a call from London-based restaurateur Bob Payton, whose company operated American-concept restaurants throughout the U.K. and Europe. Payton asked Tramonto to transform the cuisine at his award-winning country-house hotel Stapleford Park in Leicestershire. Tramonto accepted the opportunity to live and work in England, France, and Spain, and Stapleford Park was awarded the Michelin Guide’s coveted Red “M.” Tramonto then worked with Payton to reopen the famous Criterion Brasserie in Picadilly Circus, London, and apprenticed with some of the world’s greatest chefs, including Pierre Gagnaire, Anton Mosimann, Michel Guerard, Raymond Blanc and Alain Chapel. Returning to Chicago in the early 1990s, Tramonto, along with culinary partner Gale Gand and Henry Adaniya, opened the nationally acclaimed fine dining restaurant Trio in Evanston, Illinois. The restaurant was an immediate triumph, earning Tramonto four-star ratings from the Chicago Tribune, Chicago Sun-Times, and Chicago magazine, as well as Food & Wine’s Best New Chef. Tramonto and Gand went on to launch Brasserie T, publish their first cookbooks and appear on Food Network. The two reunited with Rich Melman and Lettuce Entertain You in 2000 to open the award-winning Chicago landmark restaurant Tru, again attaining a trio of four-star reviews, as well as a Michelin Guide Red “M” and a four-star Mobil rating. Tramonto received the James Beard Best Chef Midwest award in 2002. In 2005, he opened Osteria di Tramonto, Tramonto’s Steak & Seafood and RT Sushi Bar & Lounge in the Westin Hotel in Wheeling, Illinois. 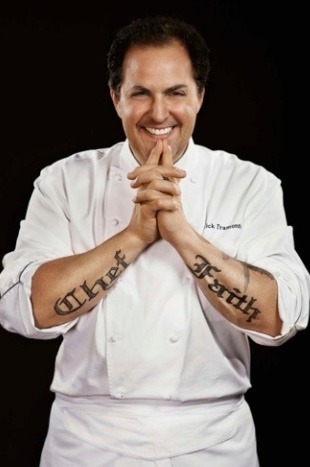 In 2010, Tramonto announced his business partnership with Louisiana native Chef John Folse and the formation of the new restaurant development company Home on the Range: Folse Tramonto Restaurant Development, LLC. The partners will launched their first joint restaurant, Restaurant R’evolution, at the Royal Sonesta Hotel New Orleans in the city’s renowned French Quarter in June 2012. Restaurant R’evolution will offers modern, imaginative reinterpretations of classic Cajun and Creole cuisine. Their second project together is Seafood R’evolution, in Ridgeland Mississippi which opened in 2014. Tramonto is an accomplished author with eight titles to his credit: His memoir, Scars of a Chef, was published in March 2011. His cookbooks include: Steak with Friends; Osteria; Fantastico! ; Tru; Amuse-Bouche; Butter Sugar Flour Eggs (nominated for the 2000 James Beard Award for Best Cookbook in the Baking and Desserts category); American Brasserie(finalist for the Julia Child Cookbook Award). Because of his respect he has earned in the culinary world, Tramonto has won numerous awards including: James Beard Award – Best Chef Midwest; James Beard Award – Best Service (Tru); Wine Spectator Grand Award (Tru); Best Chef in Food & Wine Magazine (Trio); Four Star reviews in Chicago Tribune; Four Star reviews in Chicago Magazine; Best New Restaurant in New Orleans Magazine (Restaurant R’evolution). Tramonto has a long history of television work as well, appearing on “The Oprah Winfrey Show,” “Today,” “CBS This Morning,” “Simply Ming,” and “Iron Chef America.” He was a judge on Bravo’s hit reality show “Top Chef” and a contestant on Season 2 of “Top Chef Masters.” Tramonto has been featured in publications including USA Today, The New York Times, Wall Street Journal, and People magazine as well as Bon Appétit, Wine Spectator, and Conde Nast Traveler. Tramonto is a regular at food and wine events nationwide, including Pebble Beach Food & Wine, the Food Network South Beach Wine & Food Festival, and the Aspen Food & Wine Classic. He is active in his church and supports a number of charities, including Feed the Children and Angel Tree. Tramonto splits his time between Louisiana and Chicago, where his wife and three sons reside. Chef de Cuisine Jana Billiot oversees menu execution and kitchen operations, while developing seasonal offerings and specialty dishes. And her Hogs Head Terrine dish recently won the 2017 New Orleans Wine & Food Experience Fleur de Lis Silver Culinary Award for the Meat/Poultry category. Previously, Billiot served as Restaurant R’evolution’s executive sous chef. Billiot joined Restaurant R’evolution during its conceptual stage, even before it opened its doors in 2012, closely assisting in menu development alongside managing partners and executive chefs Folse and Rick Tramonto. Restaurant R’evolution, which evolves the food of the “seven nations” that formed Louisiana’s culture and cuisine, has quickly risen to prominence throughout the fine-dining scene of the greater New Orleans area, the United States and across the globe. 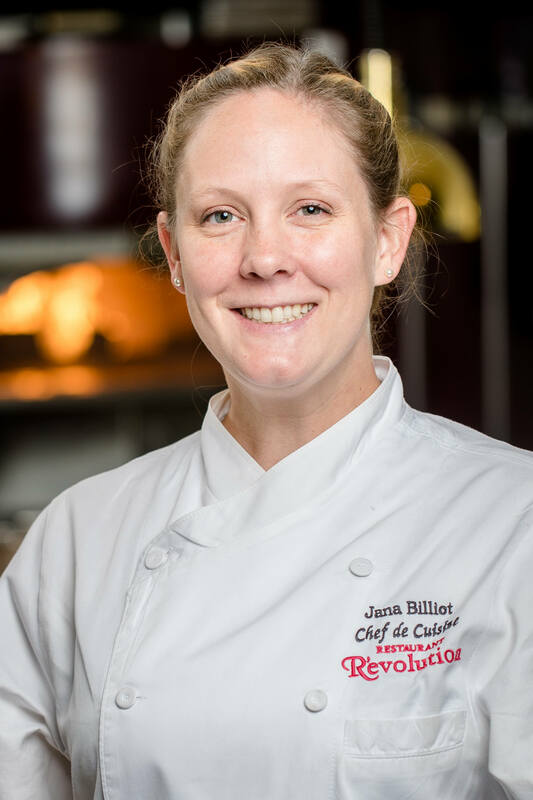 Billiot, a Louisiana native of Johnson Bayou in Cameron Parish, is a 2007 graduate of the Chef John Folse Culinary Institute (CJFCI) at Nicholls State University. Currently, CJFCI is the only post-secondary institution in Louisiana – and, in fact, one of the only ones in the country – offering four-year Bachelor of Science and two-year associate of science degrees in culinary arts. While studying at CJFCI, she trained at the Institut Paul Bocuse, Hôtellerie Restauration & Arts Culinaires in 2005 in Lyon, France. Following graduation, Billiot honed her culinary skills at Tramonto’s TRU Restaurant in Chicago, before joining the Restaurant R’evolution team in 2010. 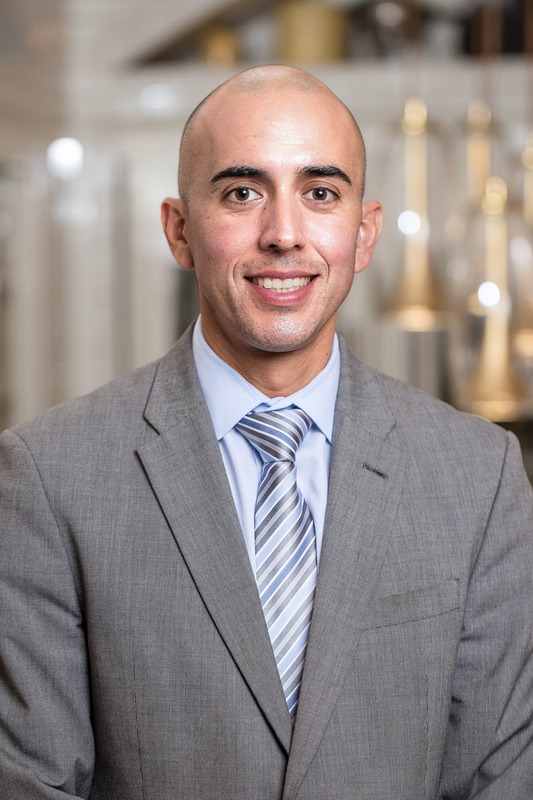 Ochoa provides more than a decade of experience within a fine dining environment, including expertise in guest relations and development, team management, development of operation procedures and managing sales and inventory. 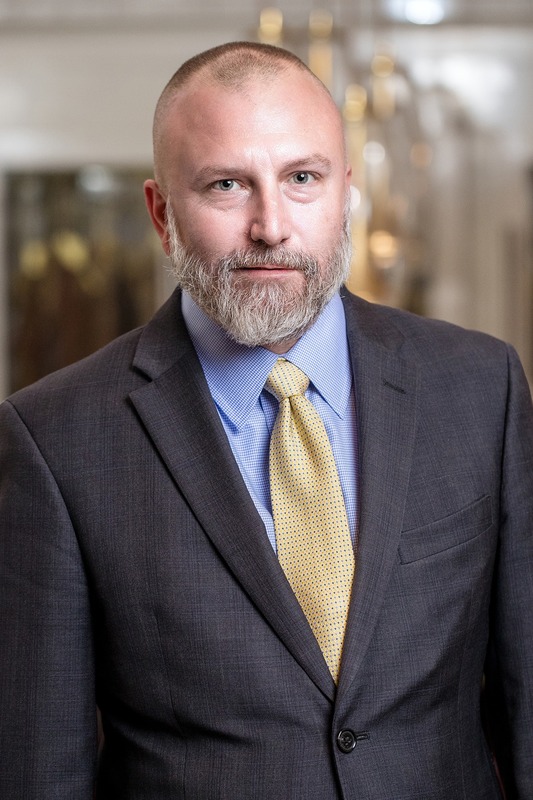 He joined the restaurant team in 2015 as the assistant general manager, and he previously served as restaurant manager to other New Orleans staples including Emeril’s New Orleans, NOLA Restaurant and Atchafalaya. Creedon brings more than 15 years of hospitality and food and beverage expertise to Restaurant R’evolution. 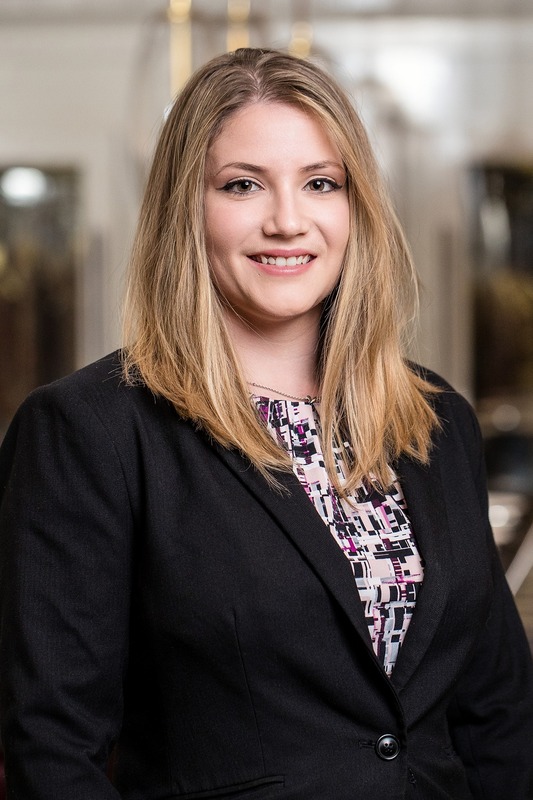 As assistant general manager, she offers her tenured experience and guidance in coordinating, directing and planning daily business operations, as well as greeting guests and answering their questions, while also motivating team members achieve the highest standards of service. A native of Hammond, Louisiana, Abene is a graduate of The Culinary Institute of America in Hyde Park, New York. Abene’s interest in modern fine dining desserts began at Jean Georges, where he trained under Executive Pastry Chef Johnny Iuzzini. Abene went on to work at Corton, initially serving as chef de partie and then eventually working his way up to the position of executive pastry chef. After returning to Louisiana in 2013, he worked at the former Stella! before joining Rebel Restaurant Group as executive pastry chef for its Root and Square Root locations. Over the years, Abene has garnered honors from numerous organizations, including the American Culinary Federation of New Orleans, which named him one of its “Best Chefs of Louisiana” in 2016. In addition, StarChefs.com named him a “rising star” pastry chef for its 2016 New Orleans class. Sabol has nearly 15 years of experience in food and beverage service, having worked virtually every job available in the restaurant and hospitality industries. 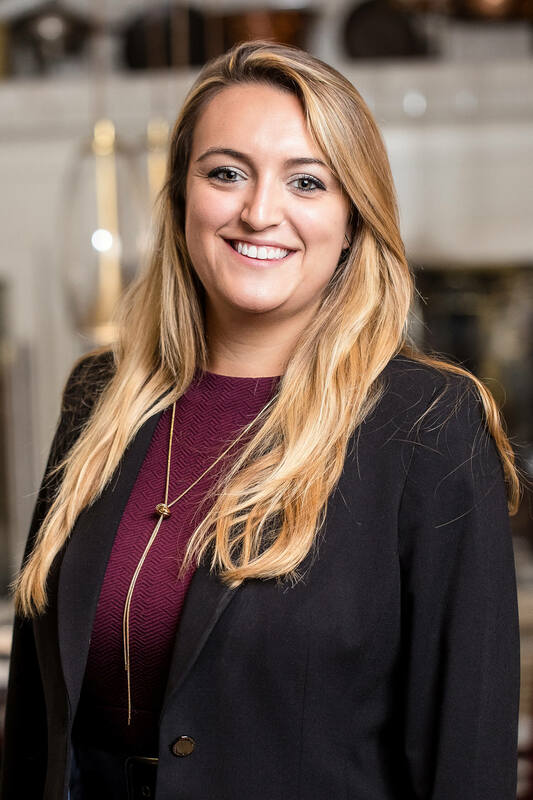 As Restaurant R’evolution’s private events manager, she oversees the elements of planning, scheduling and coordinating all related special occasions and private events on behalf of the venue and its team.